The Richmond Flying Squirrels minor league baseball team supported the Arthritis Foundation at a recent game. It was held on Saturday, August 14, 2010 at The Diamond in Richmond, Virginia. 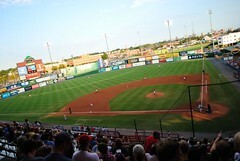 The baseball game was between the Richmond Flying Squirrels and the Portland Sea Dogs. In addition to having fun with my family watching the game, I also took note of the methods they used to raise funds. The following are five tips for findraiding I took away from the baseball game. Starting from when I was approaching the entrance to the ballpark until I started looking for my seat, there were many promotions of fundraisers and community businesses. If you were going to watch the ballgame, you were going to pass by each of the displays/promoters to get there. They didn't get hidden in a poorly trafficed path or in an "out of the way" corner. You need to get the attention of potential sponsors to be successful. You won't raise needed funds if the potential finders don't know the opportunity exists. Messages about arthritis, the Arthritis Foundation, and the ongoing charity auction to benefit the Arthritis Foundation were shared with attendees in multiple ways. Involvement of people with arthritis in pre-game activities, announcements by the game announcer, and displaying photos and messages on the scoreboard were some of the methods used. Consider using multiple forms of communication as well. These forms of communication can include using text, audio, photos, and video. The impact of arthritis and the current fundraising opportunty (charity auction) was communicated many times thoughout the game. If someone was out buying a hotdog during the first message, he or she will hear the message the next time it is communicated. Marketers have proven that it requires communicating a message multiple times before the typical person takes action. It is no different when attempting to convert a person to be a donor to your organization. Messages about the Arthritis Foundation and and fundraiser opportunities were typically made between innings. There was no action on the baseball field at those times to distract the potential donors. Consider the timing and environment when approaching a potential donor. Try to make your approach at a time that will minimize the possible distractions. Attending baseball games is fun. Adding fundraising to the game is a great match. It obviously benefits the charity. It also benefits the baseball team by increasing the community's perception and support to the team. People are more receptive when they are having fun. Regardless of how serious the cause, find a way for potential donors to have fun before you ask for their support, so they will be more open to your message. 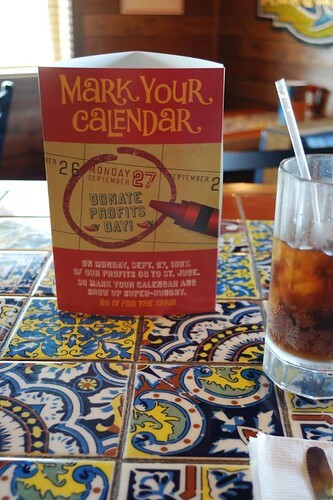 Consider these tips when implementing your next fundraising event or campaign. p.s. If you want to get many, many great products for you and your business, go to http://www.NAMS4Kids.com. You can be a part of saving young children's lives. Dr.Mani is passionate about saving the lives of young children in India who suffer from congentital heart defects and whose families cannot afford the cost of heart surgery. His purpose, passion, and persistence will motivate and inspire you. Go to http://www.nams4kids.com/blog/general/a-rare-interview-with-dr-mani and listen to the interview. You will be glad you did! 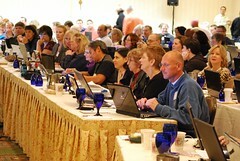 Are All Internet Marketers Greedy? Not This Group! A few weeks ago I was interviewed about my work with nonprofit organizations. I was shocked when the interviewer said that he didn't believe there were more than 20 internet marketers around the world who were charitable! Wow, did he spin me up. My experience is just the opposite. Where Are the Charitable Internet Marketers? There are many, many internet marketers who are taking action to make a difference in the world. One current example is the NAMS4Kids fundraiser. The idea of this event started with my friend David Perdew. He is the founder of the Niche Affiliate Marketing System (NAMS) workshop, the fastest growing internet marketing workshop in the U.S. today. Funds raised during the NAMS workshop through this fundraiser will literally save the lives of young children in India who suffer from congenital heart defects and whose families can't afford to pay for the required surgery and medical care. It provides surgery and hope to families that are helpless otherwise. Starting on Friday, August 20th, over 185 internet marketers will be raising funds to benefit the Dr.Mani Children Heart Foundation in India. Actually, there will be many more because these marketers are also inviting others to participate. I want you to be one of those. NAMS4Kids is an online giveaway event. The goal is to raise more than $10,000 in one week. How is this going to happen? Many people are donating products to be given away. All that is asked from those who download the products is that they make a financial contribution. !00% of the donations will go to the Dr.Mani Children Heart Foundation. It is that simple. Well, it is not that simple unless we get your help by donating one of the products and promoting the event with us. How Can You Get In On This Opportunity & Promote Your Business at the Same Time? You can help drive traffic to this monster giveaway to encourage folks to donate to the Dr. Mani Children Heart Foundation with just a couple of emails. We're expecting more than a million emails to go out that week to promote this event. You can step in front of that stream of traffic by joining us today. Contribute a product to the event to drive traffic to your website and build your list. Some of the World's top online marketers have already signed on, will you? Don't have a product related to internet marketing? No problem. Software, reports and books from all walks of life (especially in self help, education, self improvement and building businesses online) would be great additions to NAMS4Kids. Go to http://nams4kids.com/homepage.php?type=jv and sign up as my guest today. Don't delay, there is not much time before NAMS4Kids lauches like a rocket. You will be helping yourself, your business, and saving young chidren's lives all at the same time. It is a big and wonderful thing to be involved.